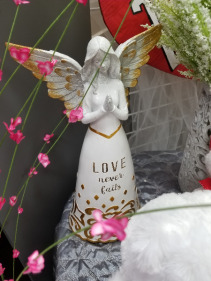 We have a wide array of angel figurines available. Our selection changes almost daily. 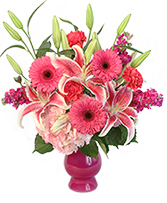 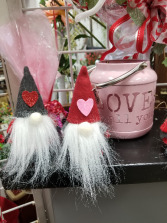 They are great gift items for almost any occasion, especially those moments you want someone to know you are thinking of them fondly. 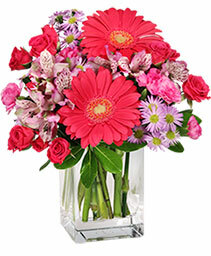 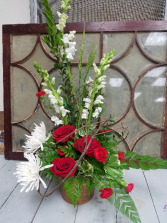 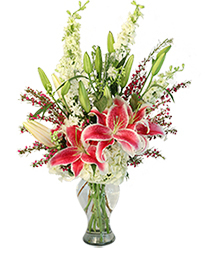 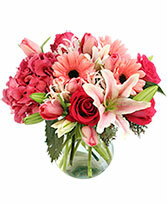 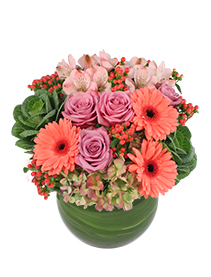 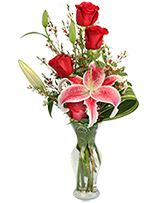 A lovely Red rose and white snapdragon arrangement wrapped with a natural array of grapevine. 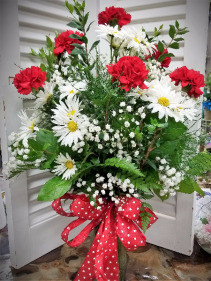 Perfect for so many occasions. 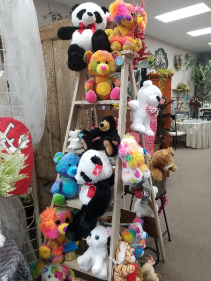 We have a variety of plush animals that would be great to send to just about anyone on your Valentine's Day list. Give us a call if you are curious about the availability and price of one.